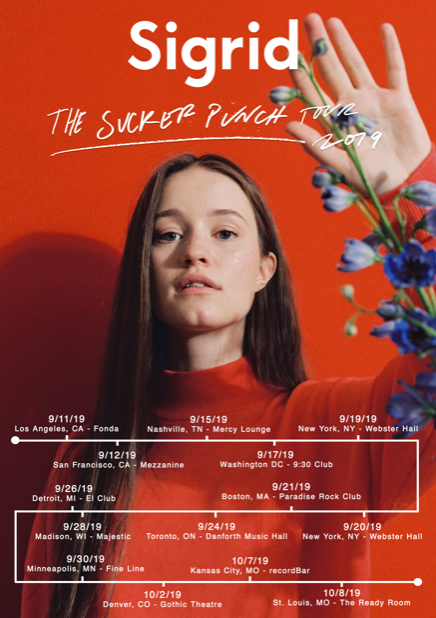 After releasing her long-awaited debut album, Sucker Punch, via Island Records, Sigrid is prepping to go on her first headlining tour in the United States, "The Sucker Punch Tour". 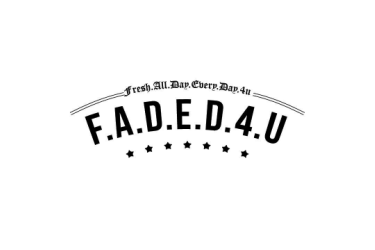 The tour will kickstart in Los Angeles, CA at Fonda Theater on September 11th and work its way through the states, stopping in cities such as New York City, Washington, D.C., Boston, Toronto and Denver. The pop prodigy additionally will be supporting Maroon 5 in June across the UK and Europe. We have all witnessed an incredible new talent over the last two years: From her VMA nomination for “MTV Push Artist of the Year,” winning the BBC Sound of 2018 to storming the stage at Panorama and Coachella last year, selling out shows in both NYC and LA, and performing on both The Tonight Show with Jimmy Fallon and The Late Show with Stephen Colbert, Sigrid’s unforgettably impassioned live performances have sparked mass appreciation and defiant, rebellious pop songs. With her Spotify following tripling since last year, and streaming numbers reaching almost 620M globally, the Norwegian sensation is undoubtedly set to continue her ascent with non-conformist and progressive attitudes to the femininity in the pop landscape.